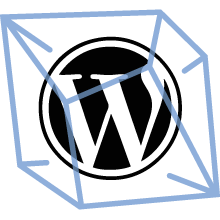 The maximum performance one-click install solution for Wordpress 4, a free and open-source content management system (CMS), running on completely integrated, pre-configured and optimized LEMP stack with the freshest version of PHP 7. It is based on PHP, a scripting language that is especially suited for web development; MariaDB, a community-developed fork of the MySQL relational database management system; and Nginx, a high-performance web, reverse proxy, load balancer and HTTP cache server. It also includes Selfmanagement Preset, a self-management, self-monitoring and self-healing components and phpMyAdmin, a web interface tool for the administration of MySQL. Versions: WordPress 4.7.5, PHP 7.1.4, MariaDB 10.1.22, Nginx 1.11.2, phpMyAdmin 4.7.0.